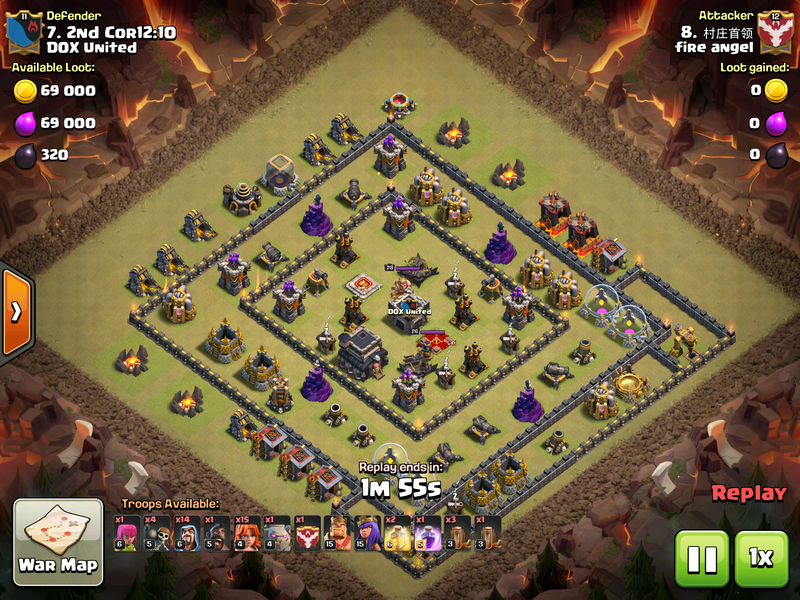 GoWiVa has emerged as an extremely popular and effective three star strategy for Town Hall 9s in clan wars over the past year. 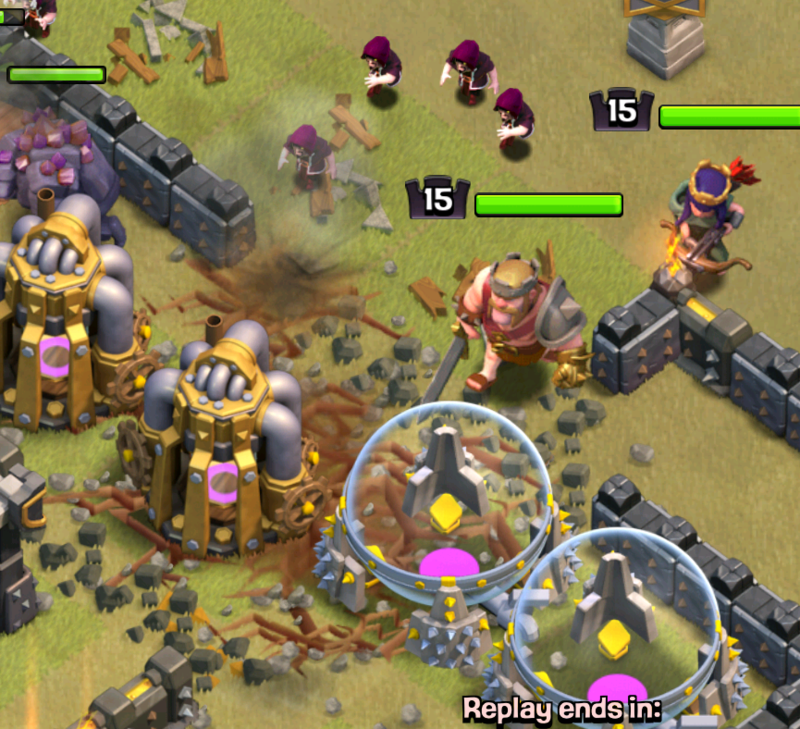 This Clash of Clans strategy features golems, wizards, and valkyries doing the main damage as they rip apart fellow TH9s for the three star. 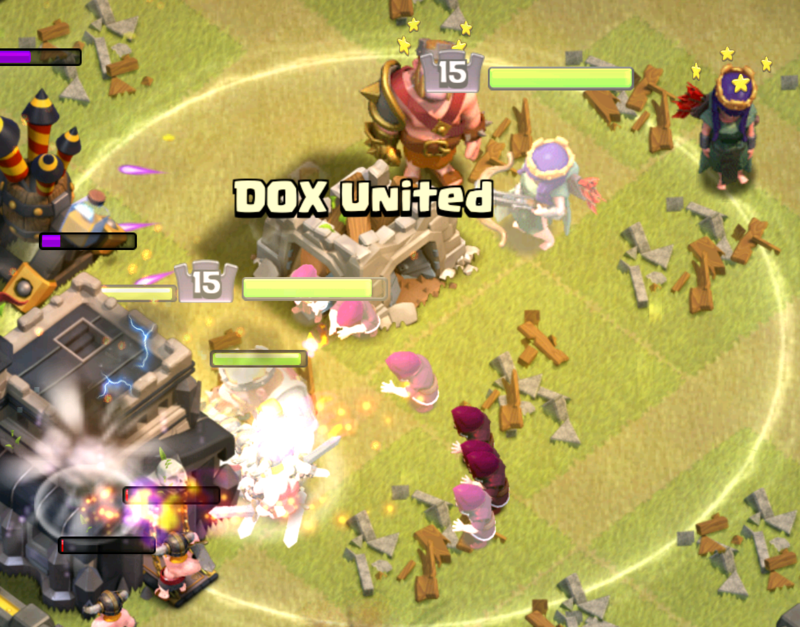 Today, I am going to teach you TH9s how to use this GoWiVa strategy in war and all the steps to success! As with every army composition, GoWiVa can vary a lot between specific numbers of troops. Obviously, you must have golem, wizards, and valkyries in as that is the strategy name, but how many should you bring? Here are my counts for a general GoWiVa army, but again it should vary based on the base you are attacking! 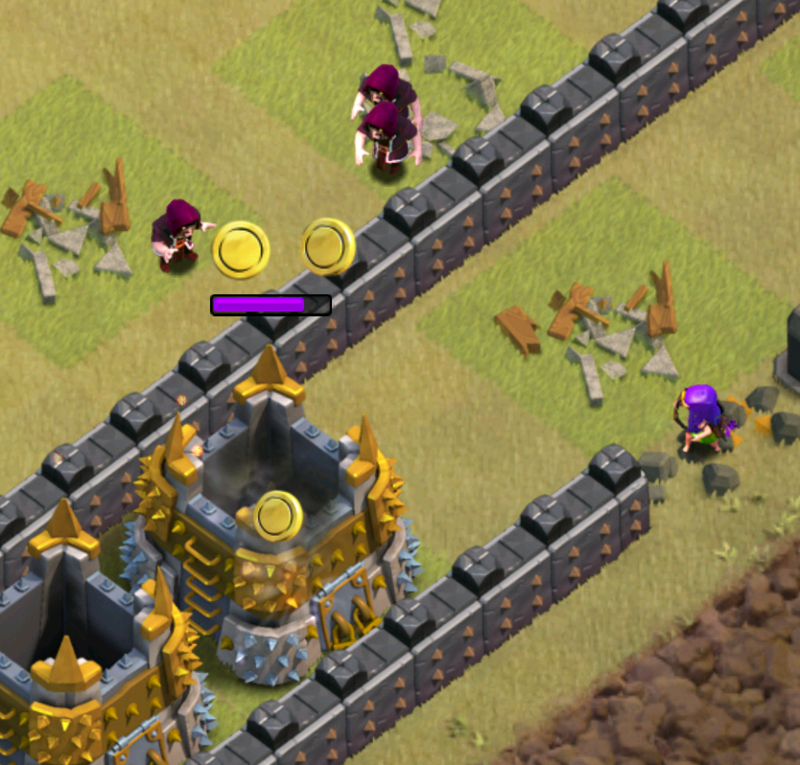 Generally, you should bring 2 golems, one cooked up in your army and a maxed one sitting in your clan castle. Also you want to bring a lot of valkyries, at the minimum 12, as they are going to be the main damage dealer within the composition. Wizards aren’t as important, but you should bring 10-15 depending on how many outside buildings you need to clear. Other troops like archers, goblins, and barbarians for clean up, should be kept to minimum if you are going for a three star. As for spells, you want to definitely bring 4 earthquake spells in order to open up a section to funnel your valks. Heal spells are also important as your valkyries are relatively weak. A rage might be smart to bring for the core of the base, just to clear everything out easily. Now that we have the basis for composition down, lets move on to the attack strategy itself. So the single most common error with valkyrie attacks is to have the valkyries circle around the base. 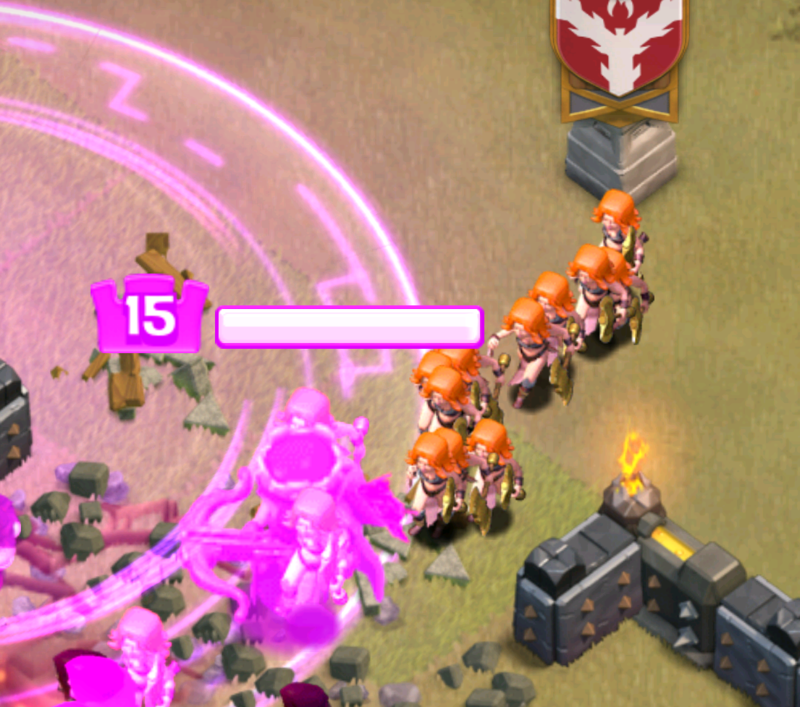 Valkyries are some of the dumbest troops in Clash of Clans, closely behind the archer queen! You need to open up an area in the base that the valks can storm though and not be distracted by those pesky gold mines. Use your 4 earthquake spells to open up a path into the core. The spot where you want to earthquake needs to be connected to the outside of the base, but also be at a maximum of 1 compartment away from the core of the base. Once you open up a hole, you are clear to send in your golems. In order for your attack to be successful, you need to get all the defenses targeted on the golems in order to avoid damage going to your valkyries. This is especially true for multi-target infernos. 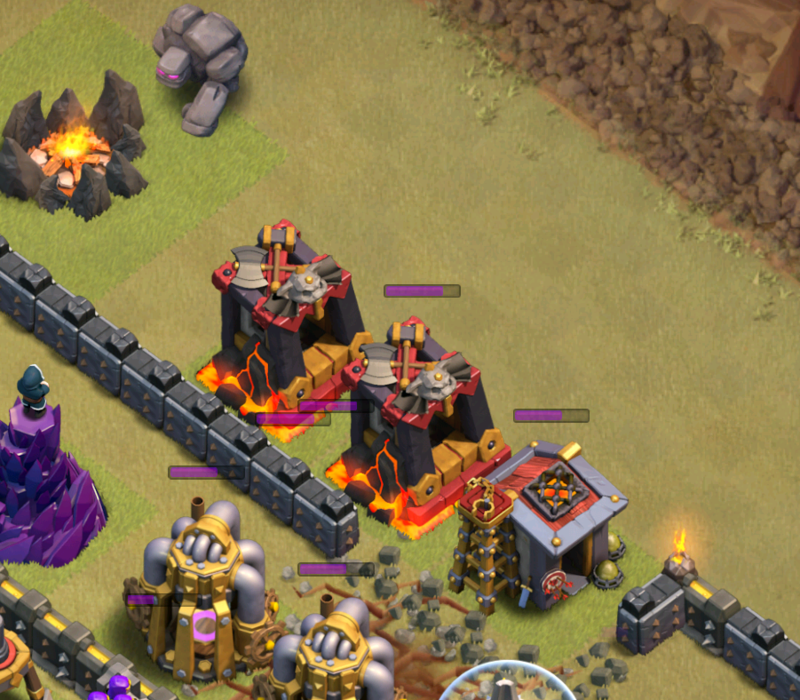 Play your golems off to the side of the opening in the base, so that they can attract as many defenses as possible. Send the other golem off from the other side, so that the two tanks converge in the hole and can start tanking and destroying for you! After your golems have started taking damage, you want to send in your wizards as soon as possible to start creating a funnel. Remember, heroes get distracted just as easily as valkyries do. Just remember to not clear the buildings for which you want your heroes to head towards! Once that your wizards have cleared enough buildings, its time to send in your heroes in get deep into the base. Your heroes are more important in this strategy than most others in Clash of Clans, so it is critical that they head towards the center of the base. Proper placement is key, just make it so they will head toward the closest building behind walls. Once that you do put your heroes in the base as a secondary tank, it is time for the real damage dealers to come in. Make sure to play them right after the heroes, or else the heroes will clear too many buildings and your valks will head around the outside of the base. Drop your valkyries all together in a single spot, that way they can deal damage faster and be together for spells. 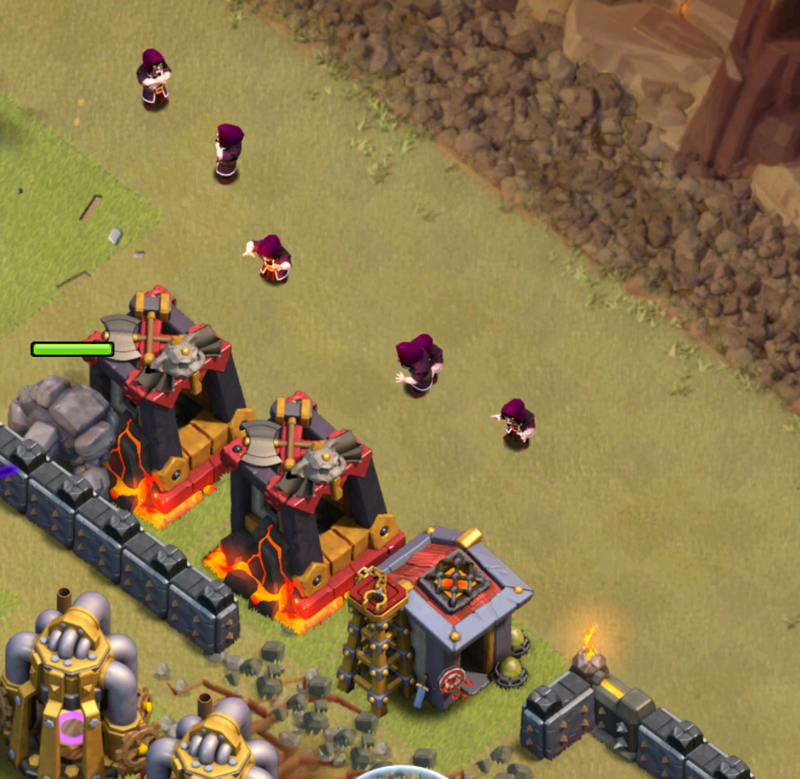 You don’t need to worry about bombs and traps because all your other troops will have cleared them. These valkyries are going to do the majority of the damage to this base so you have to make sure that they stay behind the tanks. Since valkyries are so fast, they will eventually run in front of the golems and other slow moving troops like the barbarian king. Once they start taking damage, that’s when you need to drop predictor heal spells. Of course, don’t play heal spells when one valkyrie is being hit; save them for when they are wiping out the inferno or after they hit a giant bomb! But, this strategy isn’t all about the valkyries; it is called GoWiVa, not mass valks. Wizards are also troops that may need a lot of healing being pretty weak. Use your heals to heal large groups of troops if your valkryies have no need for them. 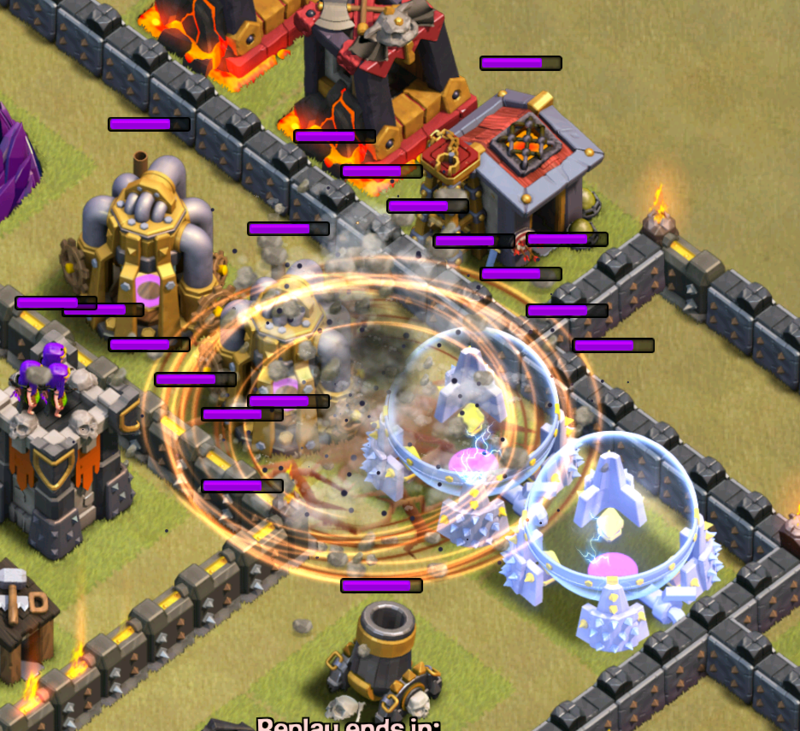 Your heal spells are extremely critical in this attack, probably only second to hog attacks in value. DO NOT waste them on small groups of units, but heal as many as your can. Once you do start approaching that three star, your valkyries and wizards probably missed a few buildings on the outside. But that’s good, because you wanted them to head towards the center of the base. Just play a few leftover wizards and clean up archers to take out the rest of the base. After all of these steps, you don’t have a lot of power left. Just sit back and enjoy your three star on a TH9 in clan wars! Thanks a ton for reading this GoWiVa guide for Town Hall 9s! I hope that you guys learned a lot and can use GoWiVa in your next clan war for a 3 star. Come back soon for more Clash of Clans strategy guides. Pingback: TH9 Three Star Attacking Guide for GoWiVa | Clash of Clans Guide, Strategies, Tricks and More!